THE ONION IS apologising for calling the 9-year-old star of Beasts of the Southern Wild a vulgar name on Twitter, an attack that led to a firestorm online. 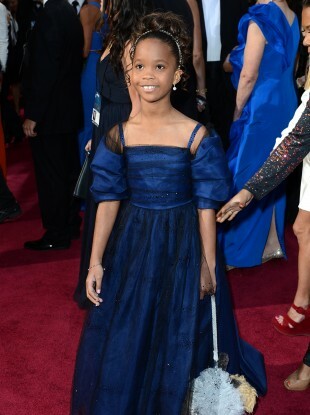 The satirical newspaper on Sunday referred to Quvenzhane Wallis with an expletive. The Onion was lambasted overnight and asked for forgiveness Monday. Hannah said the offensive tweet was taken down within an hour and the newspaper has “instituted new and tighter Twitter procedures” to ensure it will never happen again. Those responsible would be disciplined, he added. A message sent to Quvenzhane’s representative seeking comment wasn’t immediately returned Monday. The Onion’s original tweet brought some calls for the media outlet to publicly identify the writer of the tweet, vows to refuse to retweet its material, and requests from outraged consumers to email The Onion to complain. It wasn’t the first time The Onion has gotten into hot water for trying to push its humor. Last year, the site attracting public ire for an image that showed an airliner about to crash into Chicago’s Willis Tower, the tallest building in the country. And the year before, Washington Capitol Police released a statement refuting tweets and an article claiming members of Congress had taken a group of schoolchildren hostage. It included a doctored picture of Republican House of Representatives Speaker John Boehner holding a gun to a child’s head. Email “The Onion apologises for 'offensive' tweet about young actress”. Feedback on “The Onion apologises for 'offensive' tweet about young actress”.